Overview of our hand selected independent fashion brands which we feature in our store and online. Take a browse to find out more about them! Founded in 2015, Ark Colour Design is a small family business based in Scotland with genuine leather products by Jane Richards and Amy Lindsay. A casual brand with a fun, genuine touch of simple and comfortable patterns. Arty and avant-garde, there’s special attention to details and finishing touches and transmits an idea of playing with fashion. Started by Elena and Francesca, Fabrique is a handmade collection their entire collection. Travel guides and much more, written by locals and printed in England on 100% recycled paper. Founded in 2016 Karibu is a handmade Jewellery brand by jewellery designer Giulia Defendente in Milan, Italy. Their products feature minimalist style and one of a kind unique pieces. Surrender yourself to the essence of a place by getting lost in the country with Lost in. The sights, smells, flavours and sounds that make it unique. Getting lost in is about diving in head first and feeling a thrill. Founded in 2011, Lunettes London started as a market stall in Notting Hill. It is East London based eyewear brand as individual as you with a distinct passion for vintage eyewear. Founded in 1995 with bohemian chic style items. Supporting women and children in New Delhi with Nai Disha project. Started by Nathalie after having her first child wanting to incorporate organic body and skincare into her life and that of her newborn son. Established in London, Old English Co. is a stationary and gifts brand with beautifully hand lettered products. 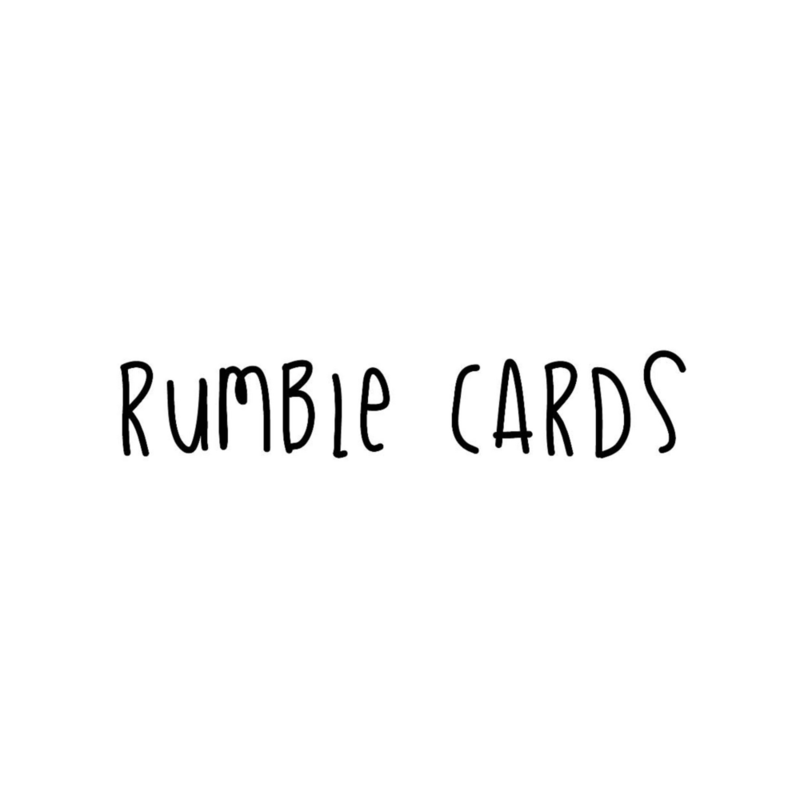 Created by Jess, Rumble Cards features stationary and gifts with funky cartoon designs.